We make supplements from real food. No chemicals, no fillers—no exceptions. As I write this post, I’m currently putting together holiday gift recommendations for after Thanksgiving and I’m focusing on parent health and wellness this year as the most important ‘gift’. I’m really looking to write great informative posts for health products this season for parents because it’s a stressful job and self-care is so important. I am excited to talk to you today about MAGNESIUM. Yes, EXCITED! 80% of Americans are deficient in magnesium. Nourishing my body with magnesium has been a game changer for me. Magnesium is a vital mineral and supplements can treat digestive issues, anxiety, migraines, PMS, and sleep issues. Magnesium-rich soaks and showers can reduce stress and ease body aches. Magnesium can also improve the appearance of your skin and (stress for me HERE) regulating a stress hormone (coritisol) that’s responsible for skin conditions such as acne or rosacea. Magnesium Ease is absorbed through the skin + delivers 45mg of magnesium in just three sprays. This magnesium sprays is five times more effective than taking a traditional supplement. 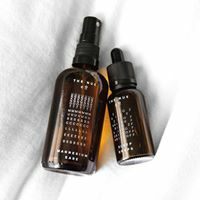 The spray contains high quality magnesium chloride with lavender and arnica oil, which contains helanalin—a potent anti-inflammatory. These three ingredients efficiently aid relaxation and reduce muscle tension. 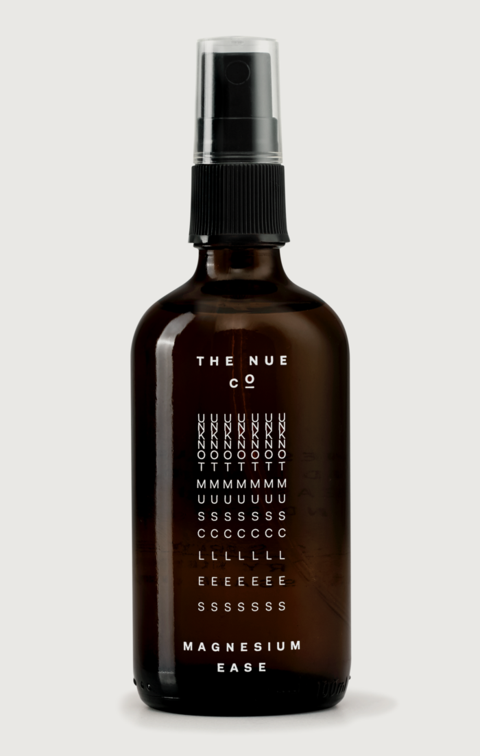 The Nue Co.’s ‘Magnesium Ease’ spray is formulated with Lavender and Arnica oils. 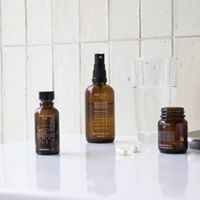 Magnesium has long been used by athletes to combat aches and cramps as it activates over 300 enzyme reactions in the body, which help your muscles relax and combats fatigue. Three sprays release about 45mg of the mineral that you can deeply massage into your skin. Cramps..Insomnia….Mommas, adding more magnesium to your diet can feel life changing if you were deficient. I would recommend this product to anyone looking to feel better on all levels. 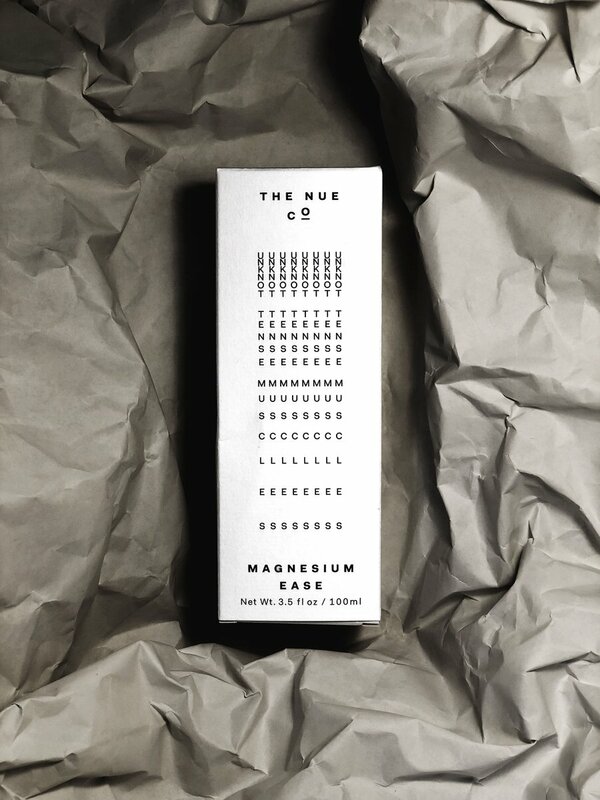 I would refer Magnesium Ease Spray by The Nue Co. to everyone. Boosted with arnica, magnesium helps unknot, unwind and ease tension. 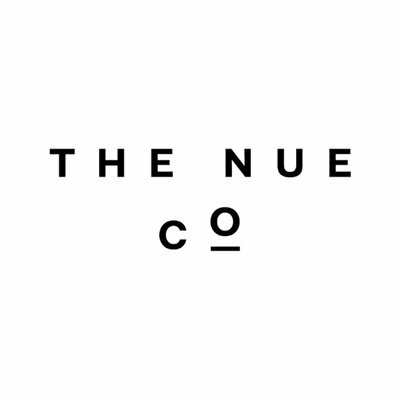 Magnesium Ease Spray by The Nue Co.